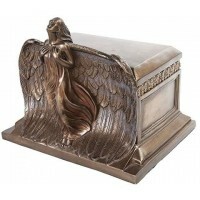 Unique urn to hold the ashes of a loved one, this Comforting Angels bronze finish urn is 12 inches high. 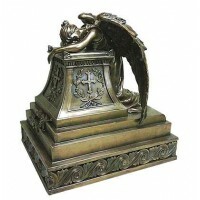 Beautifully sculpted and detailed statue in cold cast bronze resin is 12 inches high. 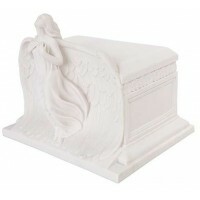 Loads from the bottom and has a capacity of 300 cubic inches. Bottom unscrews with 4 screws. 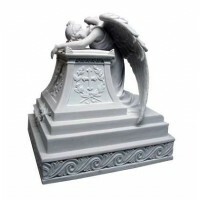 Item Number: PT-10911 | Approximate Size (Inches): 10.50 wide x 7.00 deep x 12.00 high | Approximate Shipping Weight: 8.00 lbs.